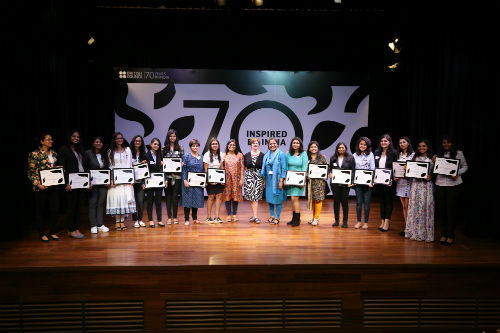 Mumbai: 100 Indian women have been awarded British Council 70th Anniversary Scholarships to mark the organisation’s 70th anniversary in India. The 70th Anniversary Scholarships, which are the first British Council scholarship programme solely for women, cover tuition fees for a one-year Master’s course in science, technology, engineering or mathematics during the 2018-19 academic year. The scholars attended an award ceremony at the British Council on Saturday 18 March. 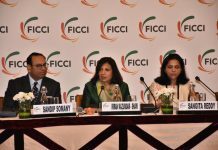 The investment in women scholars supports Prime Minister Modi’s shift to women-led development and the British Council’s own focus on women and girls and Sustainable Development Goal 5. 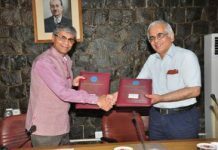 It is also part of the organisation’s drive to partner the economic growth and knowledge ambitions of States across India. 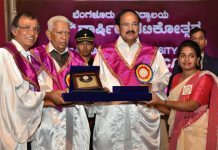 The programme, worth almost INR 18 crore, is the organisation’s largest investment in a scholarship programme in India. The 100 scholars will be attending 44 British universities in all corners of the country including England, Scotland, Wales and Northern Ireland. The UK is a global leader in quality research and the scholarships will offer the women the chance to work in world-class research environments and collaborate in international research teams. Alan Gemmell OBE, Director India, British Council said, “We’ve been inspired by India every day of the last 70 years– by its artists, students, and its teachers. This year we want to say thank you for 70 inspiring years. We want to share the stories of the great things we’ve done together, tell new stories, and inspire millions of young people to develop connections for the next 70 years. The women we’ve selected to be our 70th Anniversary Scholars will be the ambassadors for these ambitions. They’ll also be fixing global problems from climate change to drug discovery all the while building the societies we all will want to live in. We’re already inspired by them and by what we will do together. The British Council’s 70th Anniversary Scholars have been selected from across India: 44 from South India, 21 from North India, 20 from West India, 9 from East India, and 6 from Northeast India. 55 of the candidates are from Tier I metro cities and 45 belong to Tier 2 and 3 cities and districts. Scholars will be studying subjects STEM fields including: 32 in computer sciences; 27 in biological sciences; 12 each in engineering and physical sciences. Other subjects include technology, maths and medicine. British universities have been active supporters of the British Council’s 70th Anniversary Scholarships and are keen to continue to increase the numbers of Indian students who go to the UK. In 2017-18 there was a 27% increase in Indian student visa applications to the UK. Universities have worked with the British Council to nominate up to five candidates per institution and have offered a 10% tuition fee discount per scholar. The scholars were the centerpiece of an Inspired by India weekend at the British Council which saw the capital swaying to musicians from across India, as part of a year-long programme to mark its 70th year in India and to thank India for 70 inspiring years. The Inspired by India weekend celebrated Indian talent and creativity with performances by musicians who were part of British Council’s award-winning digital platform Mix The City. Performances included Tetseo Sisters (Nagaland), the Perimallan Drummers (Chennai), SJ Sagar (Assam), Shubhendra Rao, Lama Tashi, Golam Fakir, Paul Jacob, Dan Tsu, Padma Shankar and Curtain Blue (Delhi). As part of the 70th anniversary, a captivating identity commissioned from British-Bangalore design house, Studio Carrom, was released on Friday 16 March and projected onto the front of the British Council’s Delhi HQ.